1. What is the symbol on Toonie? 2. Who led thousands of Loyalist into Canada in 1776? 3. What is Canada's National Anthem? 5. Who is Joseph-Armand Bombardier? A. He invented the worldwide system of standard time zones. B. He invented the snowmobile, a light-weight winter vehicle. C. He invented the first cardiac pacemaker. D. He contributed to the invention of radio. 6. When is Dominion Day? 7. What does NATO stand for? A. North Atlantic Trading Organization. B. National Associate Treaty Organization. C. North Atlantic Treaty Organization. D. North America Treaty Organization. 8. Who was known as “the greatest living Canadian”? 9. What do we do in Remembrance Day? B. Observe a moment of silence at 11am. 10. Whose portrait is on the $5 bill? C. Sir John Alexander Macdonald. 11. What is La Francophonie? A. It is an association of English-speaking nations. B. It is an association of Chinese-speaking nations. C. It is an association of German-speaking nations. D. It is an association of French-speaking nations. 12. What is the presumption of innocence? A. No one is innocent until proven guilty. B. Everyone is innocent until proven guilty. C. Everyone is innocent after proven guilty. D. No one is innocent after proven guilty. 13. 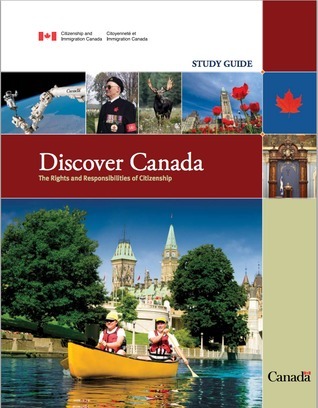 'You must have adequate knowledge of English or French to become a Canadian citizen.' Who can exempt from this requirement? A. Adult applicants who are 50 years of age and under. B. Adult applicants who are 50 years of age and over. D. Adult applicants who are 55 years of age and over. 14. How many people speak English as first language? 15. Who are the Acadians? A. The descendants of British colonists who began to settle in what are now the Maritime provinces in 1604. B. The descendants of British colonists who began to settle in what are now the Maritime provinces in 1804. C. The descendants of French colonists who began to settle in what are now the Maritime provinces in 1604. D. The descendants of French colonists who began to settle in what are now the Maritime provinces in 1804. 16. Can we question the police about their service or conduct? A. You can't question their conduct or service. B. You can question their conduct but not service. C. You can question their service but not conduct. D. You can question their service or conduct if you feel you need to. 17. Which province has its own time zone? 18. Where did the "Loyalists" settle in when the American Revolution happened? A. Nova Scotia and Quebec. B. New Brunswick and Quebec. C. Nova Scotia and Manitoba. D. Ontario and New Brunswick. 19. Where is St. Croix Island located at in present-day? 20 What do Canadians wear on Remembrance Day?